Nice scan, thanks for sharing! 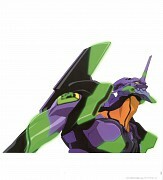 The Eva redesigns are so badass. Awesome style, the coors looks really cool. muy bueno! de verdad esta genial! talk to the hand eva style. owesome!